Pat Corrigan is an esteemed businessman in the freight industry and an indefatigable art collector and arts philanthropist. 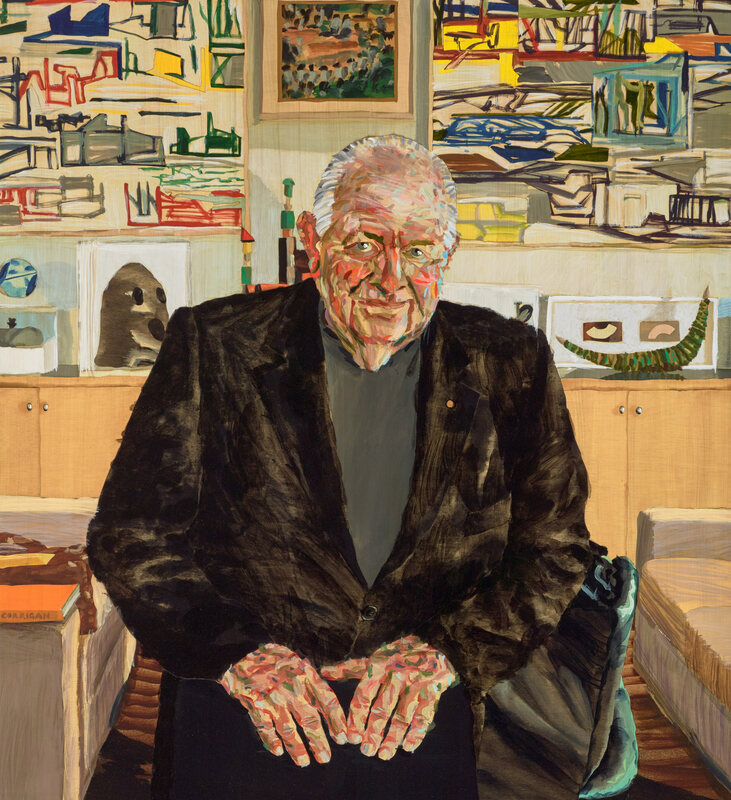 In 2000, he was made a Member of the Order of Australia for his services to the visual arts. ‘Pat has been my patron for 19 years and his support has been invaluable,’ says Alan Jones. ‘The idea of capturing Pat in his home began four years ago when I made an earlier portrait of him, titled Corro , which was a 2013 Archibald finalist. This time, we had two sittings at Pat’s Darling Point flat. On both occasions, Pat was sitting at his dining room table doing paperwork as I sketched. It wasn’t a conventional sitting as Pat rarely sits still and his phone rings continually. Born in Sydney in 1977, Jones has been the recipient of the 1997 Pat Corrigan Travelling Art Scholarship, the 2004 Brett Whiteley Travelling Art Scholarship, the 2014 Kilgour Prize and the 2015 Mosman Art Prize, among others. This is his third time as an Archibald finalist; in 2014 his finalist entry was a portrait of Adam Goodes.